See the Brisbane City Map Brisbane CBD Map - Greater Brisbane Map, Queensland. Brisbane offers great weather, the arts, entertainment, cultural attractions, al-fresco dining as well as great shopping at the famed Queen Street mall. 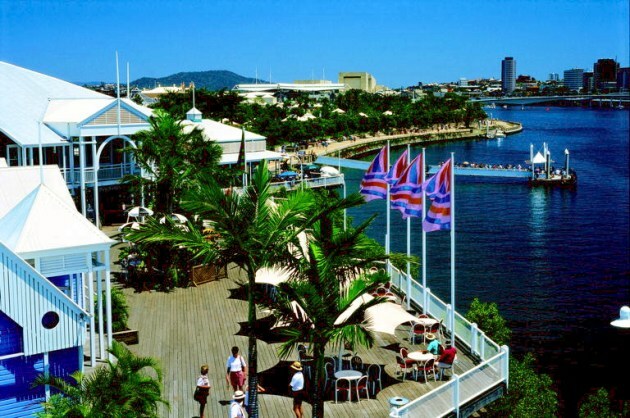 A visit to the South Bank Precinct and a river cruise are enjoyable ways to spend time in Brisbane. Or for something different, join a climb to the top of the Story Bridge for some spectacular views of the river and Brisbane city. Divided by the Brisbane River the city is located in the sub-tropics and the multi coloured trees and flora reflect this. With the many boardwalks on the river, the beautifully landscaped green parks and gardens as well as the Botanic Gardens makes the modern business district of the city stand out in contrast. Also, within easy reach of Brisbane there is a multitude of things to do, such as exploring the Great Barrier Reef from the air, swimming with the dolphins at Noosa National Park, visiting a boutique winery or heading off to Surfers Paradise on the Gold Coast. Moreton Bay, beautiful and relatively unspoilt is a great way to spend a day or even more. The many islands including Bribie, Moreton and North Stradbroke have beaches great for swimming, fishing, diving and snorkelling. Walks around the islands offer ocean views, massive sand dunes, forests and fresh water lakes. See more about Brisbane - Moreton Bay Islands. Brisbane tours available include visiting the Australia Zoo on the Sunshine Coast, home of the Crocodile Hunter, Steve Irwin. Aboriginal culture tours are available, so is cruising the Brisbane river, a 4 wheel drive on Moreton Island and an enjoyable day exploring the World Heritage rainforest on Fraser Island. You can catch Whale watching cruises - available at Moreton Bay June to November. Fresh seafood is one of Australia’s trademarks and the variety available in Brisbane. There are plenty of eateries and restaurants dotting the city to accommodate even the most discerning palate. 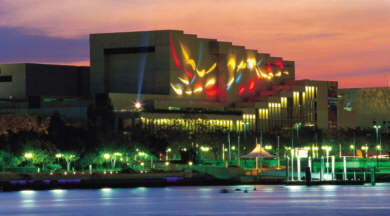 Brisbane has accommodation of all kinds, including 5 star hotels such as the Hilton, Marriot and the Riverview hotel. 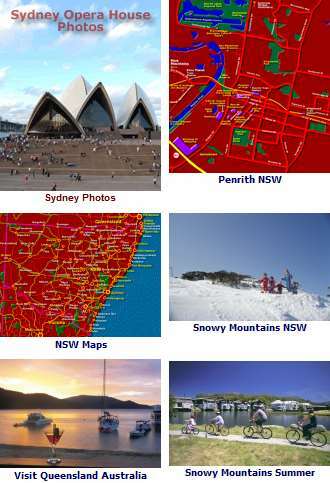 Find Brisbane Hotels Queensland. See our new Brisbane Hotels Map.